We on Android Review Center do an article on online gambling from time to time. There are people that dislike it, but let's face it. Gambling is fun, exciting and comes with real chance of making some money. In other words, it's quite an entertainment. 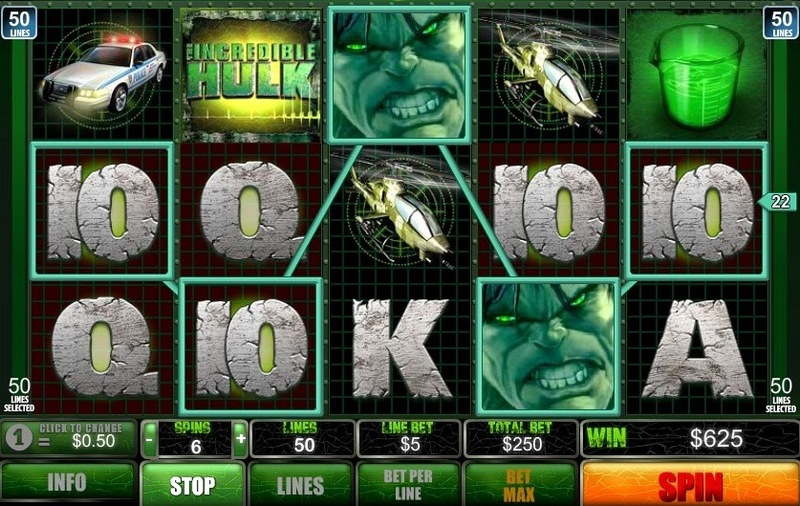 This time we would like to introduce The Incredible Hulk 50 Lines game slots. 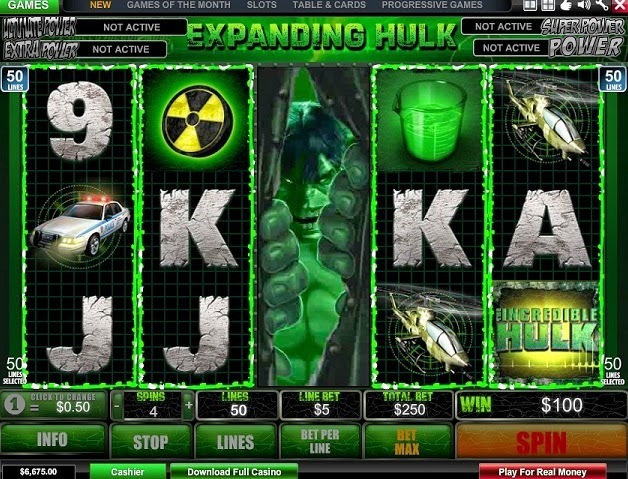 This is a slot game with several interesting twists, not the least of them being the Incredible Hulk himself, making several appearances inside the game, with his characteristic growls, howls and general feel on unbridled power. Anyone who've seen one of the movies or read the comics knows what we're talking about. 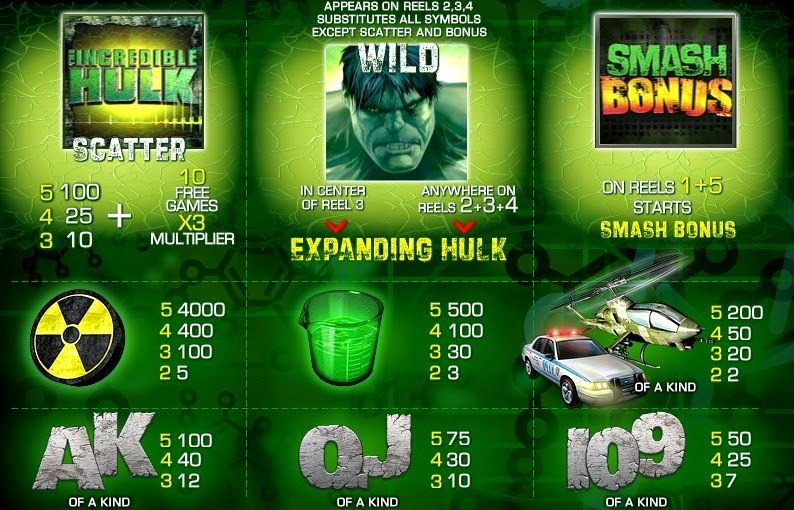 Actually, the game is filled with quite a lot of Hulk themes objects, from police cars (yeah, this is actually one of the main things the Hulk has to contend to), to attack choppers (as Hulk is invariably tracked and attacked by various government agencies that want to control him or failing that, eliminate him), to the unmistakable warning signs of gamma ray bombs, like the bomb that created the Hulk himself. The game itself is an online game, saving you the need to download anything on your computer. You just have to login and presto, you're free to play. There are actually quite a lot of games there, but we'll focus on The Incredible Hulk 50 Lines Slots, mainly because it's one of the easiest ones and we love the Hulk. The game itself is quite simple to play and it does have several very helpful features. First of all, you can select what lines are the winning ones, from a straight line to almost any line. Secondly, you can play (practice) for free for as long as you want, whether you want the (lesser) excitement of winning pretend money or just practice before hitting the real thing. Thirdly, as soon as the game's browser loses focus, the game freezes and becomes silent. We still do not recommend playing it at work because some workplaces track their employees surfing habits, but if you won't want the missus to know what you're doing when you're supposed to be doing the dishes, The Incredible Hulk 50 Lines might be for you. 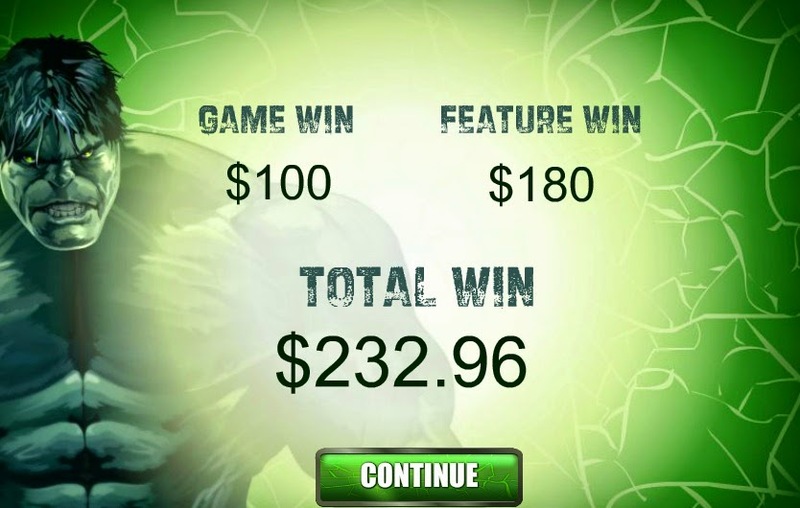 The game also has a very useful auto spin feature, to automatically spin the slots instead of you pressing the spin button all the time and you must remember the site itself has special promotions almost all the time, such as weekly reload bonuses. As a very professional online gaming site, the game has an online chat support, receives and delivers PayPal payments and is VerySign approved, which is always important in a site dealing with money. Of course, the game also has a very helpful info page with detailed explanation about the various slots, their values and their prizes. 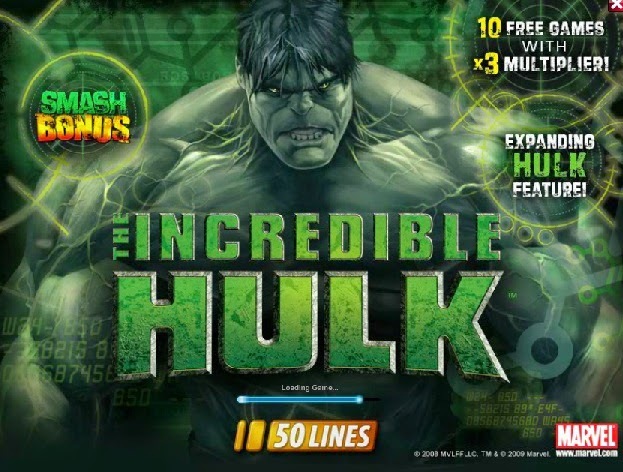 All in all, The Incredible Hulk 50 Lines is one of the best online slots game we one Android Review Center has seen, with great theme that includes Hulk sounds and animations, some nifty automatic spin and line selection features and a slick and very professional interface. With this game being an online game, the player can actually connect to it from anywhere, without the need for any download to his or her own computer.